I couldn't sleep so got up as the sun began to rise. 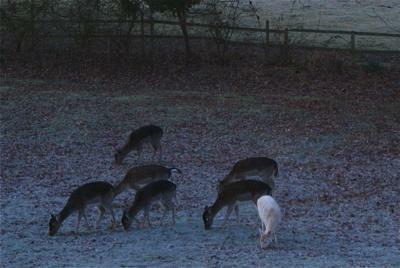 We often have visiting deer but when I opened the curtains there was a white deer amongst the herd! The photo isn't great as it was still quite dark! I think this is a lovely photo - what a great sight to start your day. What does anyone else think?